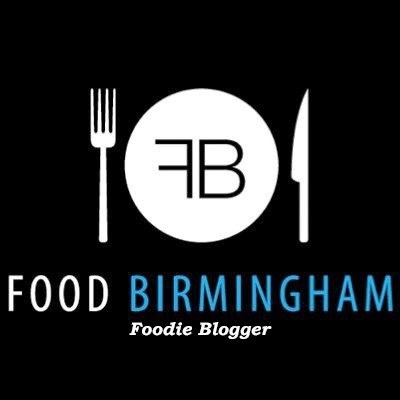 Positive Fridays- A Birmingham food blog: UK Burger Battle- Round one! 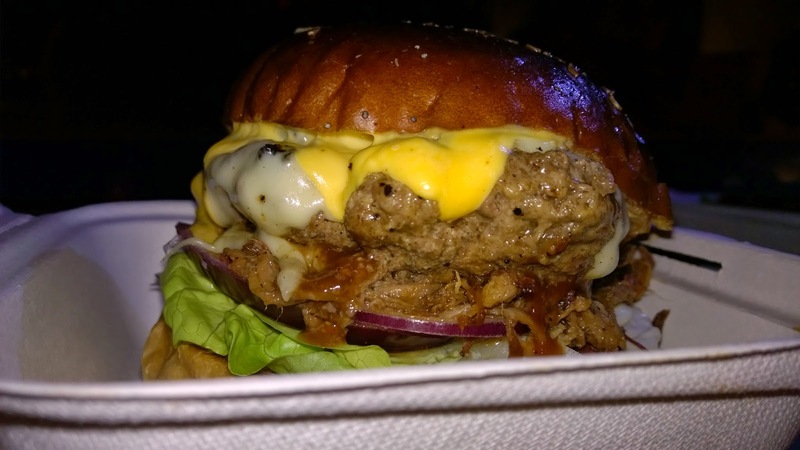 UK Burger Battle- Round one! I recently wrote about my amazing afternoon at Rib Nights. 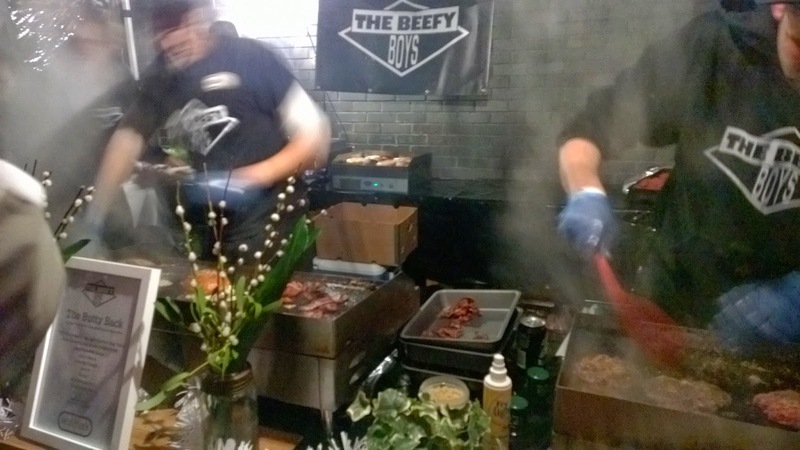 Before I'd attended I'd spotted that the gentleman who organises that event had a new venture under his sleeve- the UK Burger Battle! 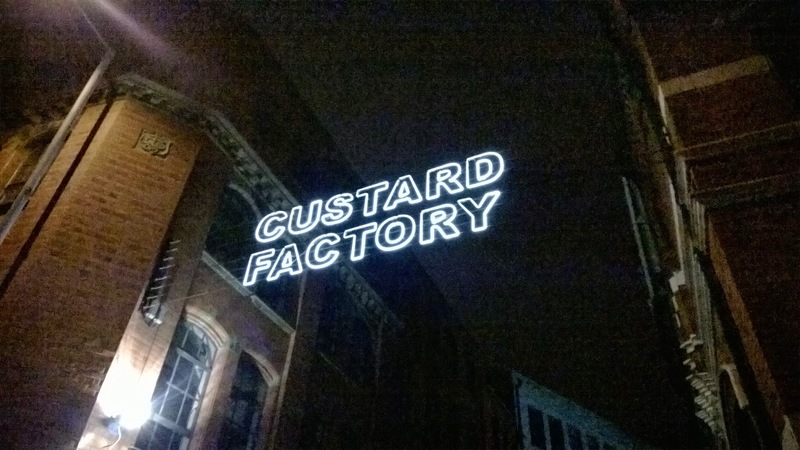 A more casual affair than Rib Nights, the battle was held at Spotlight in Digbeth, the same venue as Digbeth Dining Club. So we made our way in, gave our tickets in to the ladies at the gate (one of whom recognised me from the interwebs- hello Full to the Brum!) and were issued with wrist bands. We had all evening to pick up our burgers- one from each team- and vote for our favourite. Unlike Rib Nights, we knew which burger was from each team. First up! 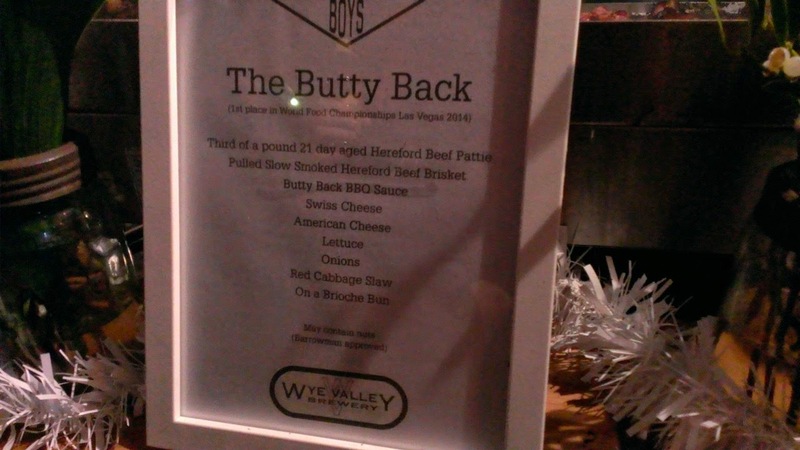 'The Butty Back' from The Beefy Boys. Now, this is an award winning burger from an award winning team, so I had high expectations. 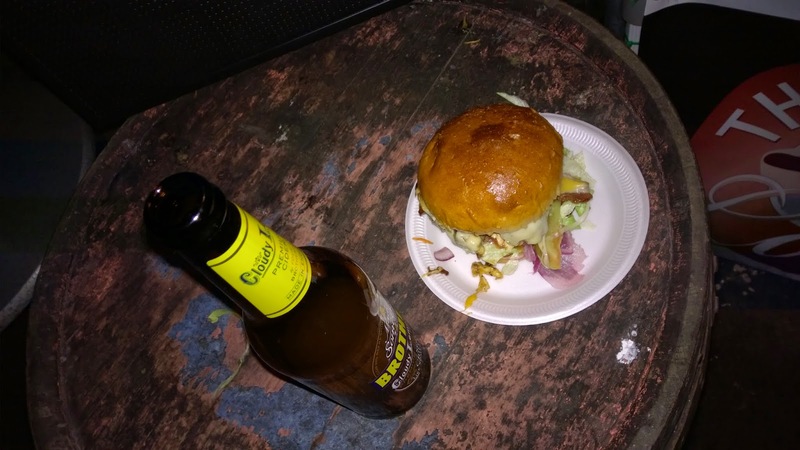 In case you can't read that, it featured pulled slow smoked beef brisket, BBQ sauce made from Butty Bach beer, swiss and American cheese, lettuce, onions and red cabbage slaw on a brioche bun. 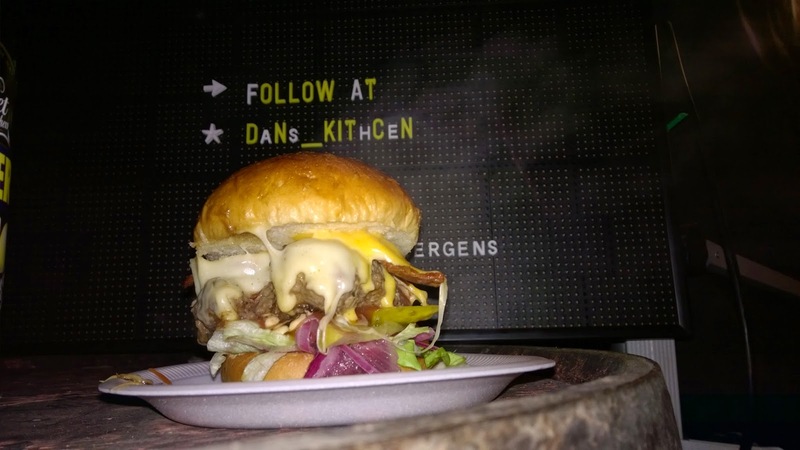 As well as the burger itself! We queued up and watched the team in fascination. We were there quite early in the event but they already seemed confident in their system. 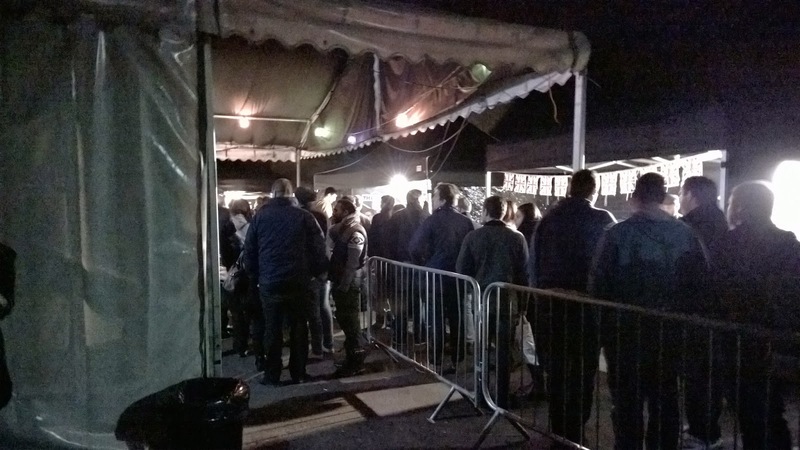 The queue went down pretty quickly and we soon had our giant burgers in our hands! I liked the texture of the brisket and how cheesy it was! The bun was great too, but I couldn't really taste the sauce or the slaw. 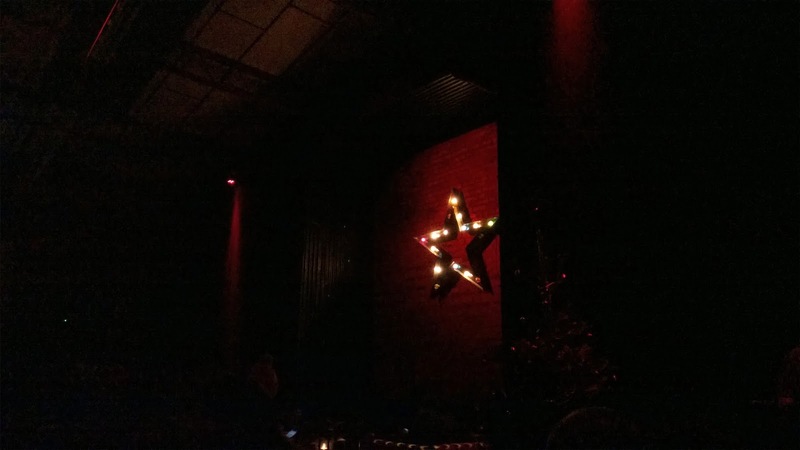 We sat in the bar to eat and drink our drinks which were included in the ticket price. I had a delicious alcoholic ginger beer. 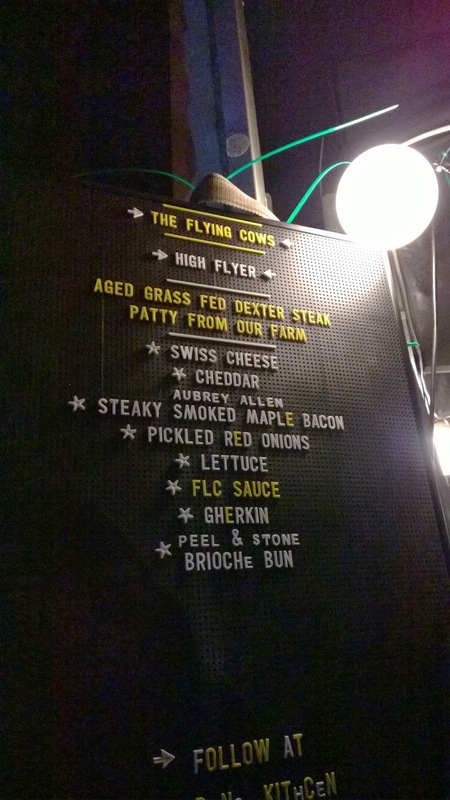 Next- 'High Flyer' from The Flying Cows. I must admit I was rooting for this team as they weren't the obvious choice. 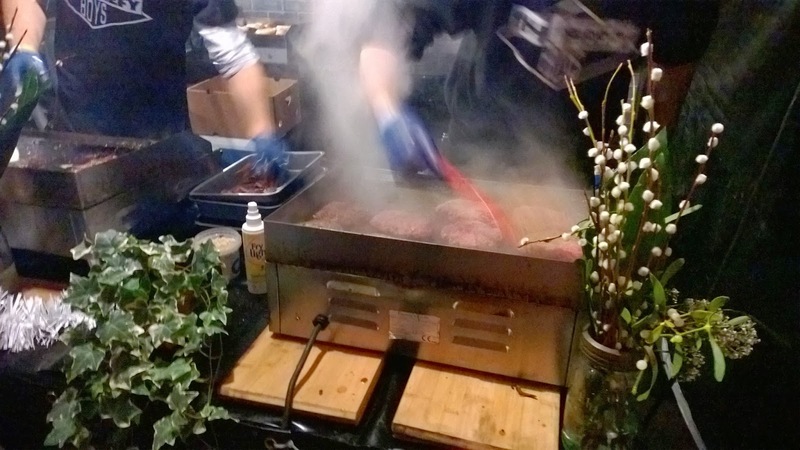 Plus their burger sounded fabulous- I loved the maple bacon. Now this is where I made an error. I moved onto the second burger way too quickly. I didn't think I was full but after a couple of bites it became evident that I was. The beef was beautiful, the bacon was beautiful but the bread was not my friend. I wasn't getting the onion or the gherkin and I kept having to have little breaks. I felt super sad and I so want to try this burger when I'm actually hungry. So in the end I voted for The Beefy Boys because that's the one I enjoyed the most. It was seriously good though! We left early-ish because we both had work the next day but the party went on all night, with music, arcade games, a magic show, a burger eating challenge and the announcement of the winners! The public vote went to.... The Beefy Boys! 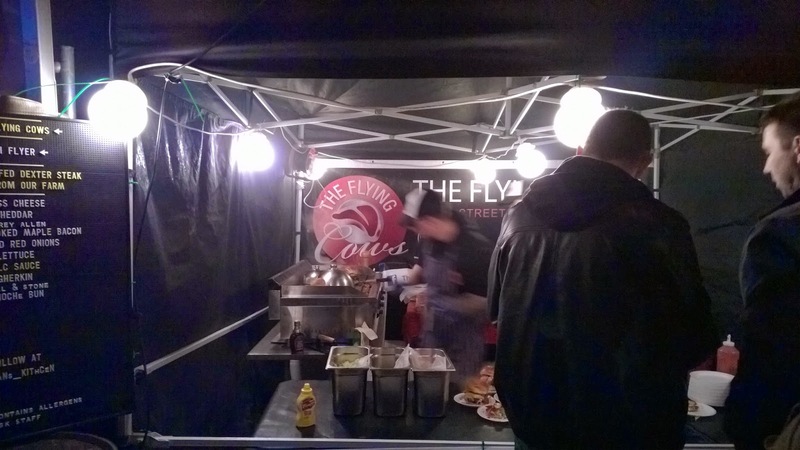 The judges vote went to....The Flying Cows! So they're both winners! I was pleased with this result. Phwoar!!!! I would consider booking for this (half term yay) if it weren't for the fact my husband has decided he is now a veggie!